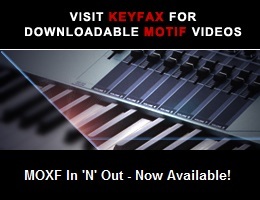 Viewing topic "Looking For More Dance/EDM/Remix Powerful Synth Leads"
I have quite some great Dance/EDM/Remix Powerful Synth Leads libraries for my Motif XF I’ve bought online but I am still looking for more new stuffs. Any suggestions? It might be a good idea to list what you already have, so that other members don’t suggest that same material. I have bought some in Easy Sounds such as Xtasyn, Dance Pro, Xpanded and some free stuffs in Europe I believe. One more thing, I’ve searching for MUTEC 2gb 2048 but it’s all gone. Do you know what’s going on? [...] I’ve searching for MUTEC 2gb 2048 but it’s all gone. Do you know what’s going on? It appears that the Motifator store no longer sells the MUTEC flash modules. ...gets a number of hits. Some European suppliers appear to indicate the module is still available. You also might also ask MUTEC directly.